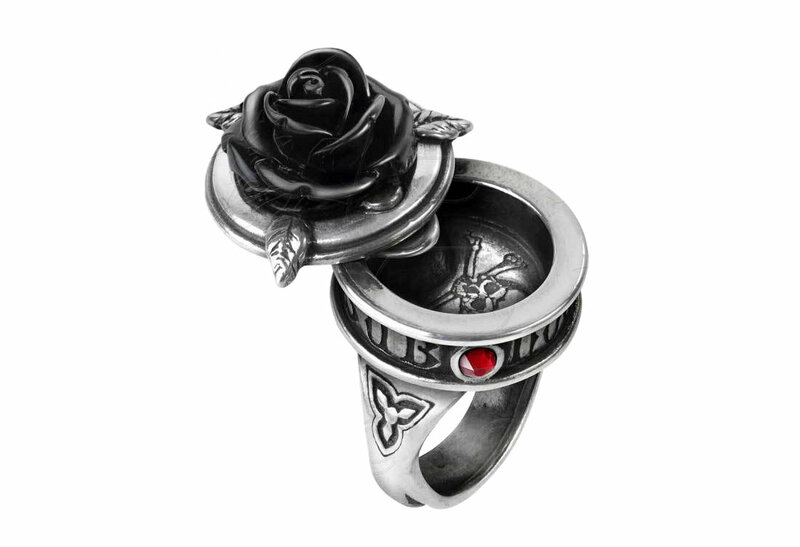 This poison ring has an easy swivel opening/closure that can be done with one finger while wearing it. On inside you will find bones/skull engraved as to tell you what's to be found. The outside is adorned red round stones and a 3 leaf emblem on each side. 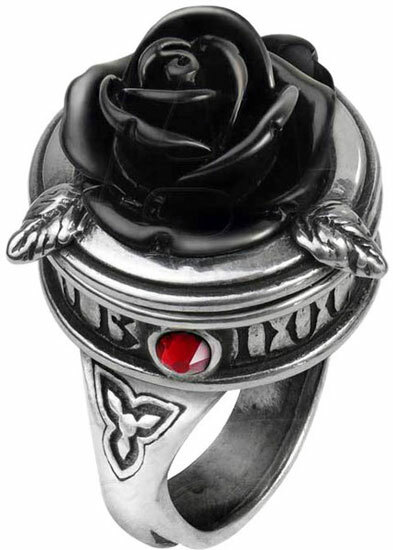 The top is crowned by a black resin rose with leafs but no thorns. 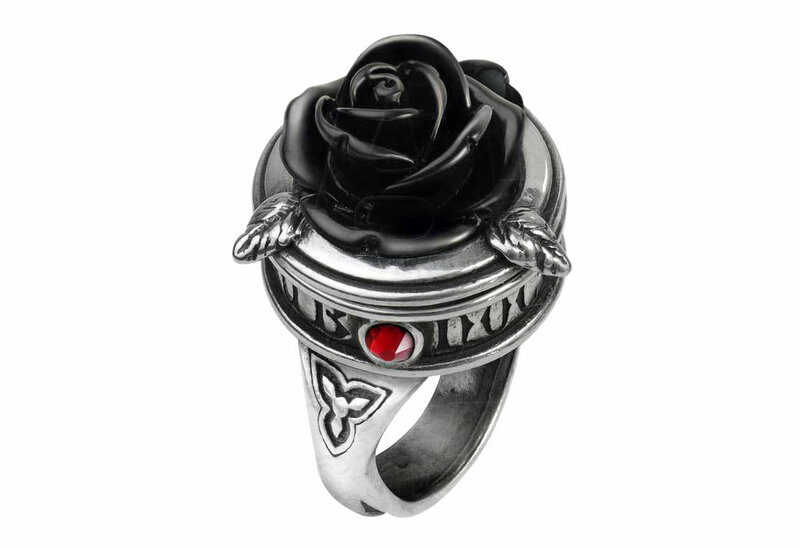 It is made of fine English pewter with Swarovski crystal and resin. 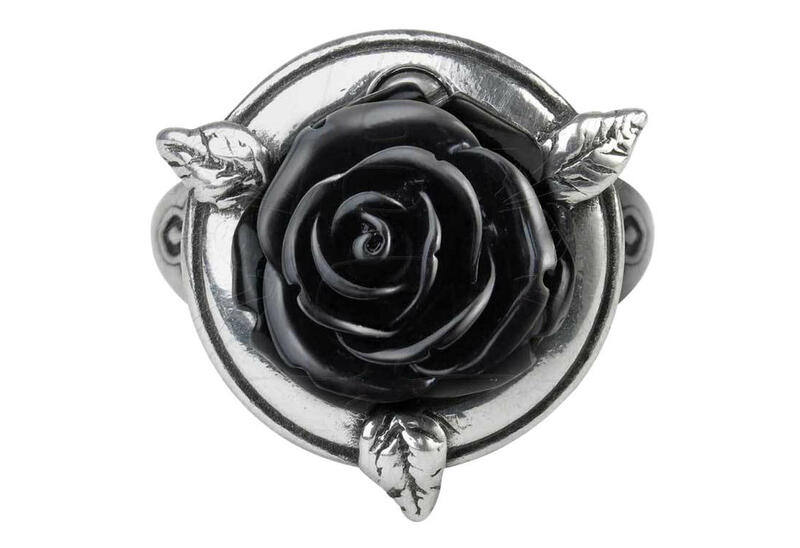 It measures approximately 0.9 inches wide, 1.6 inches high and 0.9 inches deep. By Gothic Alchemy.